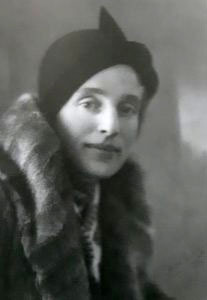 One of the first mureeds (students) of Hazrat Inayat Khan, she was a leader of the Haarlem, Netherlands Centre from 1946 to 1958. She came to the Sufi Movement through her friend Sakina Furnée, whom she had met at the horticultural school in Rijswijk (she later became a garden architect). 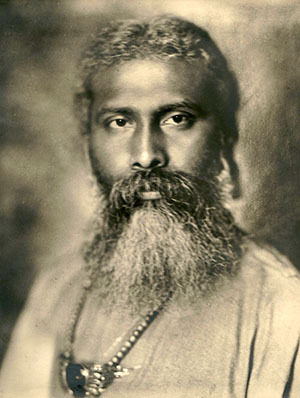 When Sakina stayed in Suresnes and became the secretary of Inayat Khan, she wrote that he would soon speak in Amsterdam. She insisted that Gawery go to this lecture. 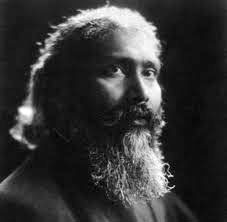 That was to be Gawery’s first contact with Inayat Khan and the Sufi Movement. Later she became the founder of the Sufi Contact in 1974. 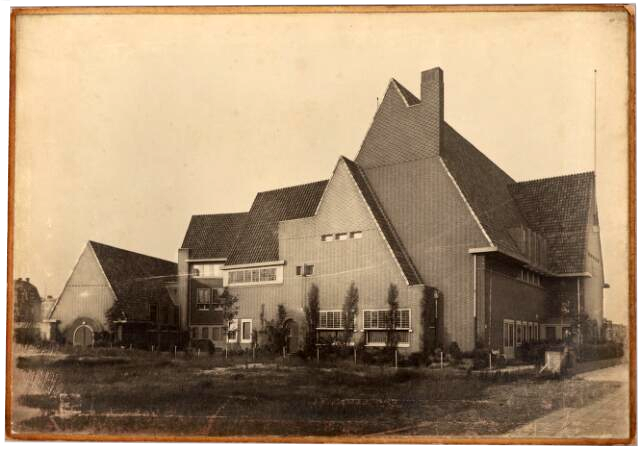 "…back to 1923, when Murshid gave a talk in Amsterdam in a small hall of the 'Muziek Lyceum'…"
Murshida Hayat Stadlinger was a young girl in 1926 when an inner voice directed her to join her family in Paris. She had heard Pir-O-Murshid Inayat Khan speak in America, and she hoped in Europe she might find the opportunity to hear more. She managed at last to find Fazal Manzil in Suresnes as the Summer School was drawing to a close. She was initiated in the Sufi Message, and treasures to this day her membership card, signed by Murshid himself. Shortly after her initiation, however, Murshid left for the east, where he passed away on February 5th, 1927. This video is a 1984 recording of Hayat Helene Stadlinger speaking at the 1984 Rocky Mountain Sufi Camp. In July of 1990 I was temporarily assigned to travel to Berkeley, California to work for the Census Bureau on a special task force. Feeling the urge to stretch my Sufi wings, I contacted Bay Area Sufis and was referred to Murshida Hayat Stadlinger. I was told that most Sufis passing through town in a similar situation, or those interested in Sufi history or Sufi lore, were keen to talk to her. I spent two lovely evenings with this wonderful and funny woman. My first evening with her I enjoyed her specialty: a private quiche dinner in the ” true French style,.” as Hayat described her gourmet egg dish. She told me how she worked at the cemetery across the street from her home and had created her own job by suggesting to the owner that it could be a beautiful wedding setting and that, further, she could plan them and both would profit from the partnership. She was now retired from that career. After the passing of Hazrat Inayat Khan, all the mureeds of Surennes, France were grieving for their Murshid. Hayat was there in 1927. She said that the grief was unimaginable. Attempting to heal her heart she decided to do what most cheered her up. That usually meant a visit to a Gypsy encampment, a short walk from Surennes, that offered carefree dancing, singing, unusual merchandise, contraband and hard to get items for sale. She and other mureeds particularly enjoyed going there. As she made her way to the Gypsy camp she became distracted and found herself lost in an unfamiliar swampy wetland. She began to panic when she realized that she had lost her bearings and darkness was falling. Fear arose in her when she saw a dark figure approaching through the gloom. Hayat assumed the worst was in store. She was greatly relieved when she recognized the face of Murshid Inayat Khan who smiled and silently offered her his hand. As he guided her to the edge of the wetland she apologized profusely: ” Oh thank goodness you are here, Murshid. I feel so stupid and sorry to have taken up your valuable time and that you had to track me down in this muck.” Finally, she could see the lights of the Gypsy camp. “I was hopelessly lost and couldn’t have found my way without your help, thank you so much Murshid,” she said. With compete humiliation and gratitude she turned to thank him once again but no one was there. It was as if he had vanished into thin air. Until that moment she had completely forgotten about his passing. On the second occasion I was invited to her house to celebrate the Birthday of Murshid (Viladat Day, July 5,1990) with her Sufi mureeds and friends. The focus, at her suggestion, was on Hazrat Inayat Khan’s keen sense of humor. Hayat and friends provided many wonderful examples. I am moved to share this with the on-line Sufi obituaries in memory of her passing. Stories of vanishing apparitions have made various impressions on me. But this one was certified by a genuine Sufi Murshida, behind those grandmotherly sleeves a most powerful arm was hidden. For many years Hayat lived in Oakland, and held Sufi meetings. She was deeply spiritual and dedicated her life to that work. Her library was astonishing, as she had inherited many esoteric books from older friends after they passed away. works of Manley P. Hall, L. Adams Beck’s novels of a fictional 1920s mysterious esoteric Buddhist global network, and Olive Schriener’s “Dreams”, to name a few. Hayat was invited to attend the Canadian Sufi Camp at Lake O’Hara, where she shared with younger sufis many stories of her early days as a pupil of Inayat Khan.